Being able to run operations as efficiently as possible is one of the fundamentals of success in the business world. Modernization helps companies in various industries boost their efficiency. Higher efficiency translates to higher profits. Although the term modernization is used in many discussions, not many are aware of its impact on business. An intelligent factory stands out from the rest thanks to being efficient with resources, ergonomic, and resilient. One novelty such factories bring to the table is that the customers and business partners are both included in the business and value process, which wasn’t the case before. To make this possible, it uses the Internet of Things (IoT) and cyber-physical systems. These systems have dissolved the boundaries between the cyber and physical world. For instance, autonomous vehicles are such systems – they actively monitor the environment and send this information to a central node where it’s processed. In a smart factory, such systems are utilized to manufacture and improve products continuously, on the spot. Thanks to advanced robotics, big data, machine and deep learning, cloud solutions and IoT, the process now happens on two planes – in the physical world, the product is made, and in the digital sphere, this product is improved through an influx of valuable data. Machine learning – As systems gain and analyze new data, the whole production process is optimized, resulting in lower lead times and energy consumption. Rapid prototyping and advanced manufacturing processes – Soon, customers will order products that are unique and custom-made without the high costs. Advanced Human-Machine Interaction (HMI) and Augmented Reality (AR) – reduces the number of human workers and allows better working conditions, most notably in terms of safety. Collaborative Virtual Factory (VF) platforms – virtual testing and simulation in product lifecycles will make products cheaper. Virtual products will complement physical ones in the ongoing development process. Cyber-physical systems and Machine-to-Machine (M2M) communication – Data from the production floor travels in real time across systems and reduces downtime and idling. It helps optimize maintenance operations. For a modern factory to function optimally, it will need the ability to share data seamlessly at each stage. Intelligent components can communicate with others to give insights on what is needed, thereby enabling decentralized control. The 4th Industrial Revolution and smart factories would not be possible without the integration of smart technologies. The term Industry 4.0, although used as a synonym for the latest big break in the way we use technology, produce and manufacture goods, had an earlier use. The term stems from Europe where it first referred to Germany. Back then, it was the German government’s strategy on manufacturing – there aim was to offer strong customization coupled with mass production. Today, Industry 4.0 refers to new ways in which technology interacts with society and the human body. From additive manufacturing, artificial intelligence, robotics, quantum computing, Internet of Things (IoT), all the way to biotechnology, nanotechnology and autonomous vehicles, technological breakthroughs are happening at an exponential rate. Industry 4.0 is fundamentally different from earlier three industrial revolutions. The first three revolutions were characterized by advances in technology. The 4th leans towards advances in information sharing and utilization. Help protect and regenerate the natural environment by bringing forward better asset management techniques. There’s a trend that goes towards increased data exchange and automation in manufacturing technologies, plus the development of cyber-physical systems that interact with each other and with humans in real-time. Smart technology is the force that made smart factories a feasible goal. It encompasses any technology that uses databases, sensors, and wireless access. Such capabilities help tech make sense of its surroundings, adapt, and provide optimal solutions to end users. It can be a fundamental part of the product itself. The functionality of the product is thereby improved. Sensors and processors can be integrated within products to gather and send data to a product cloud. This data is then stored and analyzed and used to make tweaks and improvements in real-time. Smart technology has both physical and logical applications. Such tech has the potential to adapt its behavior to better suit the environment. A wide range of sensors provides data. When analyzed, it can be used to make actionable steps towards better products and methodologies. Smart technology has learning capabilities. AI, machine, and deep learning allow smart tech to recognize patterns and improve performance. The goal behind this is creating intelligent networks throughout the value chain. These networks bring together people, data, and processes to help develop new best practices. 1. IoT – Internet of Things – A growing number of products we use today come with computing capabilities. This enables communication with other devices, control centers, and end users. A connected device can gather data and send it for further analysis. 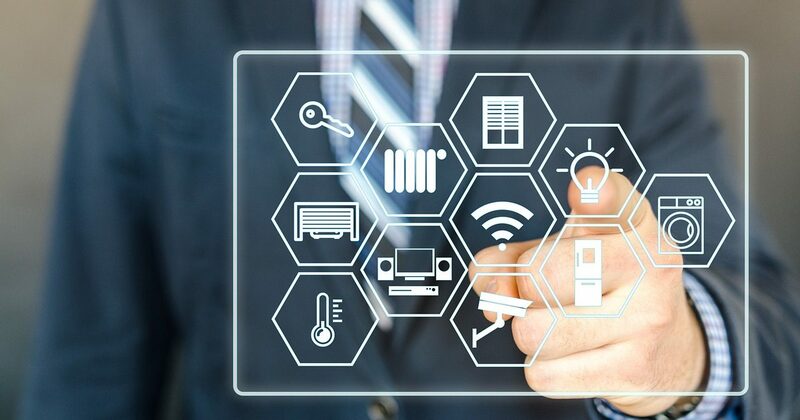 IoT devices have real-time reporting capabilities, which is beneficial to track status and take care of any issues on the spot. 2. 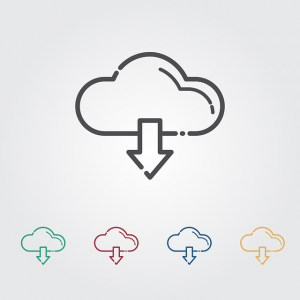 Cloud Computing – The cloud revolutionized the way we store and access data. Cloud computing is a network of remote servers that can be used by individuals and businesses to store, manage and process data without having to rely on a local PC or server. It enables highly efficient sharing of resources, such as software and data. It enables sharing and access to data to anyone with permission to access. This can be employees or stakeholders of a company, or the customers, even from remote locations. It eliminates the cost of having and maintaining their own servers and networking gear, which lowers costs. With the cloud, even small companies have access to software and technologies that were previously limited to large enterprises. 3. Additive Manufacturing – Additive manufacturing, especially 3D printing, has gotten a lot of attention lately. Novel materials are used to create products. Such new techniques allow faster and more convenient manufacturing. The result is a considerable drop in costs, especially in prototyping. While 3D printing was previously limited to larger industrial and commercial users, now 3D printers are affordable and accessible to individual users and small businesses. The use of 3D printing enables decentralized prototyping. The prototypes now don’t have to be stored for a long time or transported over vast distances. As a growing number of businesses acquire 3D printers, they can make prototypes on the spot. 4. Smart Sensors – Smart sensors are devices that have various data processing capabilities. They measure inputs from the environment like any other sensor but can be programmed to perform a pre-defined action when they detect a certain trigger from that environment. The data is processed by the sensor and passed on to another system. These new sensors are deployed in a wide range of industries, as they’re highly practical and can be adapted to do all kinds of jobs. They’re now used in smart electrical grids, exploration, and across the scope of scientific research. Thanks to smart sensors, the collection of environmental data can be fully automated, reducing the need for human interaction, which makes the collection process efficient and affordable. As smart sensors utilize new tech solutions, many of them provide more accurate data than older devices. 5. Automation – Automation allows completion of tasks with only minimal human intervention. Some forms of automation have eliminated human intervention altogether. For example, the development of automatic telephone switching systems allows calls to be made around the world without the intervention of a human operator. Automated technological solutions are omnipresent today. They provide solutions for the production and delivery of a limitless range of goods and services. Automation is used in information technology, military, utilities, transport, manufacturing and more. It’s also evolving very quickly. New forms of automation are being invented, developed and tested on a daily basis. This isn’t limited to just physical devices. It’s also seen in a variety of software applications. For example, business intelligence in applications is high-quality automation. Enterprises from around the world are taking advantage of it to streamline their operations and make them more efficient. 6. AI, Machine Learning, and Deep Learning – Artificial intelligence (AI) is the use of intelligent machines built to work and react in a human-like way. Such machines recognize speech patterns, solve problems on their own, learn based on past interaction and plan for future ones. Machine learning is already an essential part of today’s tech industry. It identifies patterns through input, then improves performance based on that input without having been specifically programmed for that purpose. It uses self-adaptive algorithms that are getting increasingly better at analyzing and finding patterns with new experiences or data. Deep learning is a type of more advanced machine learning. It aims to imitate the working of the human brain. It can do that thanks to neural networks. 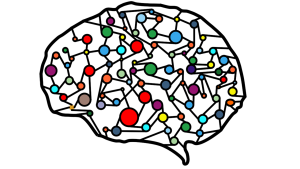 These networks help create patterns which are later used in decision making. Smart devices can be paired together with systems using machine and deep learning to process big data. By analyzing the wealth of information from the devices, new issues and opportunities can be found faster than ever before. 7. Cybersecurity and Blockchain Technology – With increased connectivity of all parts of the value chain, the need for security is ever growing. Standard communications protocols allow an efficient flow and exchange of information through the Internet, but they remain vulnerable to many kinds of security exploits. This has led to an increased need for security solutions. Industrial systems and manufacturing lines are facing a dramatic increase in threats. This is especially the case in today’s world, as cybercrime has become more complex. Cybercriminals are after data, including intellectual property, personal identifiable information (PII), health records and financial data. 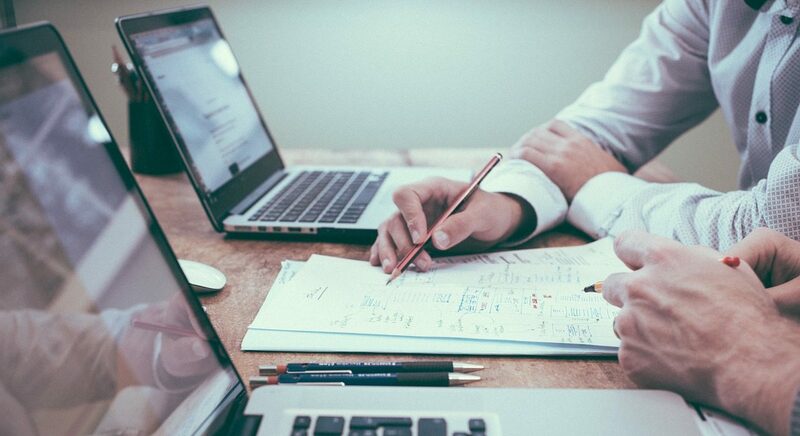 Unauthorized disclosure or loss of such information can have serious negative repercussions for businesses and individuals. Furthermore, some attackers aren’t after the data itself, but simply want to disrupt the operations of a business. The need for better security has led to the development of advanced solutions that can help protect businesses, processes, and data. The blockchain is one such solution. It is a decentralized, digitized public ledger of transactions that use Distributed Ledger Technology (DLT). While many people associate the blockchain with cryptocurrencies like Bitcoin, it has uses that go far beyond enabling cryptocurrency transactions. Blockchain technology is very useful in modern cyber-defense systems, as it was built with the prevention of fraudulent activities in mind. It takes advantage of intelligent consensus mechanisms that instantly detect data tampering and drop such attempts. The security and integrity of data at the collection and usage stages is an important topic that government agencies and the private sector are now taking more seriously. One example of government actions to promote data security is the GDPR, which aims to increase transparency to the way various connected devices collect data and how it’s used later on when it moves up to other systems. The 4th industrial revolution is the latest in a series of breakthroughs that are now disrupting almost every industry in the world. The impact is larger than most of us think. It affects all sectors and businesses, both large and small. IoT – The Internet of Things greatly increases the amount of operational data companies work with. Businesses get an increased ability to monitor their operations, resulting in new opportunities being found and new strategies developed based on these opportunities. Thanks to this enormous wealth of data, current business models get much-needed improvements and entirely new ones are brought to the world. Additive Manufacturing – This technological development has made manufacturing processes a lot more affordable compared to how much they cost just a few years ago. Smaller businesses can take advantage of new methods to develop and manufacture products in a highly efficient way. Thanks to additive manufacturing, highly personalized products can be made that fully meet the needs of their users, all at a low cost. Cloud – Businesses of all sizes, ranging from one-man startups to multinational enterprises, can all take advantage of the power of cloud computing. Companies, departments, functions, and capabilities become more cohesive thanks to faster data processing and flow at low costs. The cloud also enables construction of integrated networks that bring a greater amount of automation to value chains. Smart Sensors – These sensors gather highly important data for your business while discarding any that is redundant or irrelevant. As data is collected in a more intelligent way, there’s less of it to process and analyze, which greatly improves business efficiency. Smart sensors also enable better communication through real-time reporting. AI, Machine Learning, and Deep Learning – All can be used by businesses to detect potential issues before they become larger. They can detect potential fraud attempts and security breaches, as AI learns which patterns are normal, leading to anomalies being discovered rapidly. Cybersecurity and Blockchain Technology – They lead to a safer environment for all types of data. Authentication and access control can be done without using passwords, as blockchain technology can be adapted to recognize trusted devices and users. For example, it can be used as part of a security system that gives each device connected to a corporate network its own SSL certificate, thus eliminating the need to use passwords during the login process. 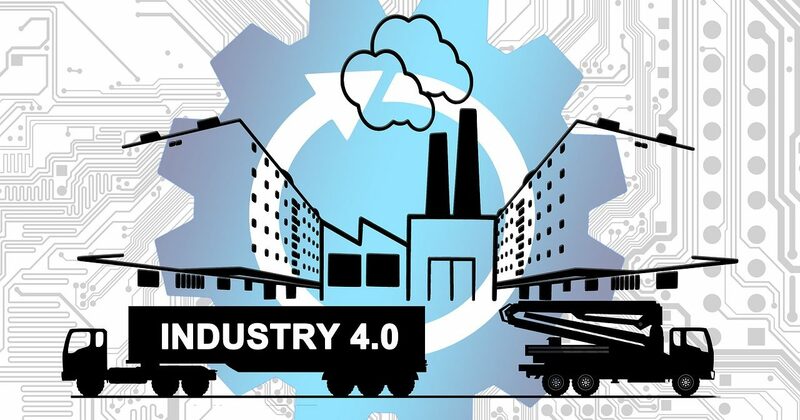 It may seem at first that industry 4.0 is something that only benefits enterprises and large companies that have facilities scattered throughout geographic regions, dozens of departments, and generally large and complex operations. However, this is not the case. Even tiny businesses can benefit from what industry 4.0 has to offer. By using the cloud to process and store information more efficiently or by using various other new technologies to improve the way they design, build and deliver their products and services, they boost their efficiency and become more relevant. Just like with previous industrial revolutions, it may take some time before the benefits reach every corner of the business sphere. But even in the present moment, small businesses are experiencing the benefits of industry 4.0. They can now compete with large enterprises in ways that would have never been thought possible a few decades ago. It’s a well-known fact that properly deploying smart technology helps small enterprises and businesses keep their costs under control. Many enterprise-grade software tools can be used by small businesses to make their operations more efficient. Many back-office functions (payroll, record keeping, accounting, etc.) that had to be done manually or with inefficient software like spreadsheets can now be automated thanks to dedicated business software. Technology also helps smaller businesses to acquire more clients and sell to distant markets, as it allows real-time interaction between people. Mobile apps and cloud-based software let company representatives work from home or on the road. This means that business is now highly mobile, instead of being tied to a specific office location like before. The tools that small businesses can use as part of their operations have improved in a variety of ways over the years. Not only are they more powerful and efficient at their core functions, but they’re also a lot more user-friendly. This lets people with even minimal IT experience deploy and operate them. Staying connected with those that matter, such as employees, third-party vendors and partners, freelancers and clients is essential to the success of any business, no matter its size or the industry it operates in. Business communication processes have been greatly improved thanks to advances in technology used by various systems. Hundreds of thousands of apps, websites, and online services exist to provide small businesses with communication solutions that are adapted to their needs. Small businesses can use email, text chat, phone calls, and video conferencing depending on which method of communicating is the most optimal at the time. New communication methods let businesses better serve their customers as well. Thanks to various online resources like social media services, consumers can provide immediate feedback to businesses. This allows them to quickly spot and correct problems before they become serious and affect their bottom line. It also lets smaller enterprises develop better products and services in the future, ensuring that what they have to offer truly meets customer needs and expectations. While new technologies have greatly improved the way businesses communicate with the outside world, they’ve also had a significant impact on how internal communications are carried out. New business communication software mimics social networks, centralized systems for planning projects and keeping track of information and other tools to share information in a highly efficient way are now available to businesses of all sizes. These systems are highly flexible, affordable, and adaptable to unique use cases. 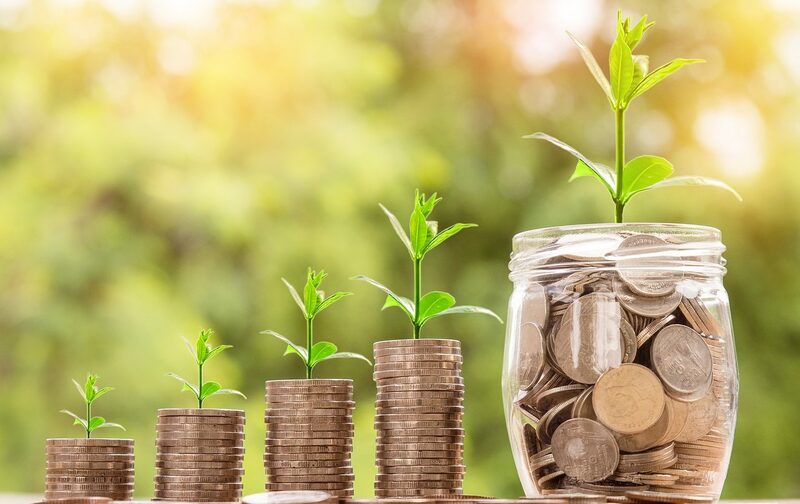 For example, you can have an accounting and payroll platform that is offered either as a cloud-based subscription or an open-source program that a company can deploy on their own servers without having to pay any licensing or ongoing use costs. The latest software and tech solutions automate a great number of processes. By doing that they give employees more time to work on tasks that are profitable for the business and will help it grow. Businesses can now do more while having a smaller team of employees. Technology and automation can be harnessed in different ways to increase the output that each individual worker is capable of achieving. The proliferation of smart tech and new business methods has given small business expanded access to the world’s economic markets. Previously, the vast majority of small businesses only served a local market comprised of a town and its immediate area. But now, small businesses have the tools to easily provide their products and services on a regional, national and even global scale. One example is the rise in popularity of e-commerce marketplaces. They have given startups and small businesses from all over the world the opportunity to reach a worldwide audience. Having the ability to source products, connect with business partners and sell to customers on a global scale was previously something that only large enterprises had the resources to do. Even though a large number of business functions can now be automated, there are always certain tasks that will require human input to be carried out. Industry 4.0 provides businesses of all sizes greater outsourcing opportunities. When hearing about outsourcing, many individuals think of how large businesses like banks and communications providers outsource their customer service and technical support to third-party providers that can be located in the same country or around the world. While enterprises can certainly benefit from outsourcing, it isn’t something limited to just large businesses anymore. Small businesses can benefit from outsourcing in a myriad of ways too. If they don’t have enough manpower to carry out a task or don’t have anyone on their team who is well-versed, they can access a global pool of talented professionals that can get the job done. For example, a company that creates mobile apps can outsource the creation of graphics for the software they put together if they don’t have an in-house graphic design team. Several tools and methods have completely transformed the way small businesses go about their daily operations. In the new business paradigm, collaboration is a very important cornerstone. Previously, different departments within an organization tended to work on their own. While methods of sharing information and working together existed, they were often inefficient and expensive to implement. Today, greater collaboration is possible thanks to the cloud and other advances in business IT technology. Departments and individuals that do different types of tasks within an organization can now easily collaborate on projects thanks to the availability of new communication tools, services, and methods. There are many ways in which collaboration can benefit a business and help it grow its bottom line. One example is the marketing and manufacturing departments working together to find strategies that take everyone’s input into account when improving the product or services that the company offers. Recent developments, like blockchain technology and distributed ledgers, greatly enhance the security of business and personal data. This enhanced security is crucial for a business to carry out its operations in an efficient way and grow its presence within its market. A company that can demonstrate that it’s able to handle information securely will have an easier time finding clients and business partners. Blockchain technology isn’t just something that’s used to boost security. It allows small businesses to process information in an efficient way, ensuring that the data will be accessible to those that need it, when and where they need it. The distributed nature of the blockchain also helps prevent data loss. The blockchain can work together with other types of technology, such as cloud computing, for even bigger growth in productivity. Today’s SMEs can be as productive as efficient as bigger enterprises. Automation and collaboration let them offer superb products and services, reach a wider audience, and get access to instant feedback that they can use to improve their products and services immediately. With industry 4.0, SMEs have the potential to do more with less. A decade ago, an entire department might have been needed to carry out a single task. Now, software and tech solutions, together with greater communications that permit more outsourcing and global partnerships, let businesses accomplish what they want to even if they have relatively limited resources. In order for today’s businesses to truly come out on top, they need to embrace the changes, advancement, and disruption that new technological advances bring. To accomplish this, business leaders need to know that all the change they witness in the world is a force that they have no control over. This responsibility is shared among all of us, ranging from governing bodies, industry, and business leaders, all the way down to small businesses and individuals. A comprehensive and global look at technology is what we need to adopt. People should reflect on how it affects their daily lives and how it can make them better, together with the many social, cultural and economic benefits that it brings to the world. As we live in a world where a growing number of devices can send data back for analysis, each decision plays a part in shaping the technology of tomorrow. For a small business, the power of new technology can be harnessed to move them towards a cleaner, more profitable, more efficient, and more personalized way of conducting business.